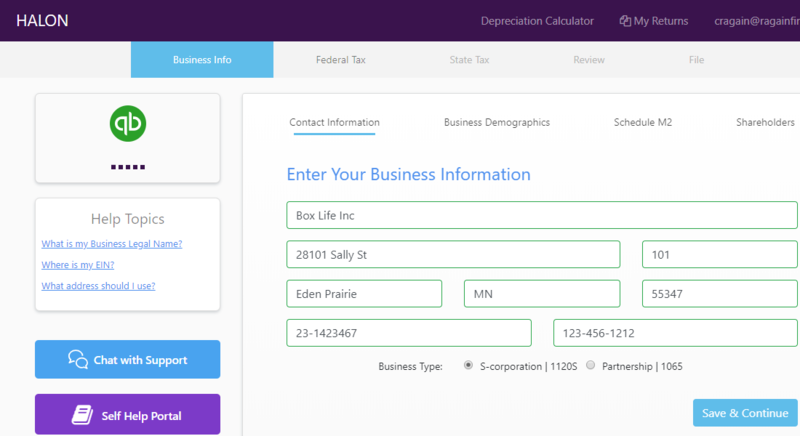 Small business tax software supervised by your assigned CPA. 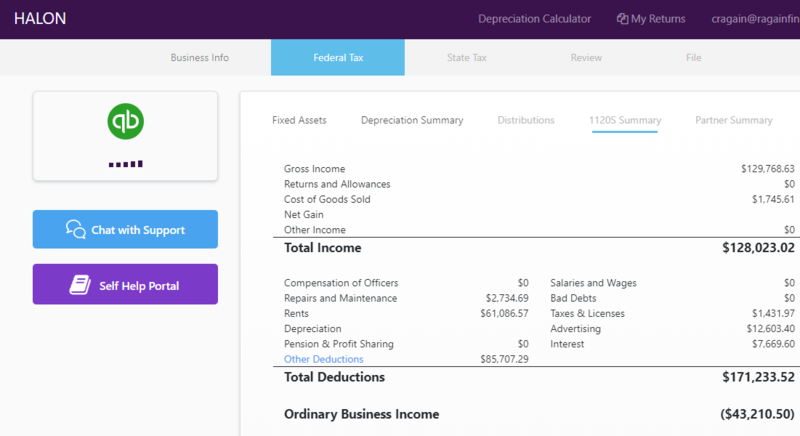 The dashboard that allows you to see and manage all of your tax returns. 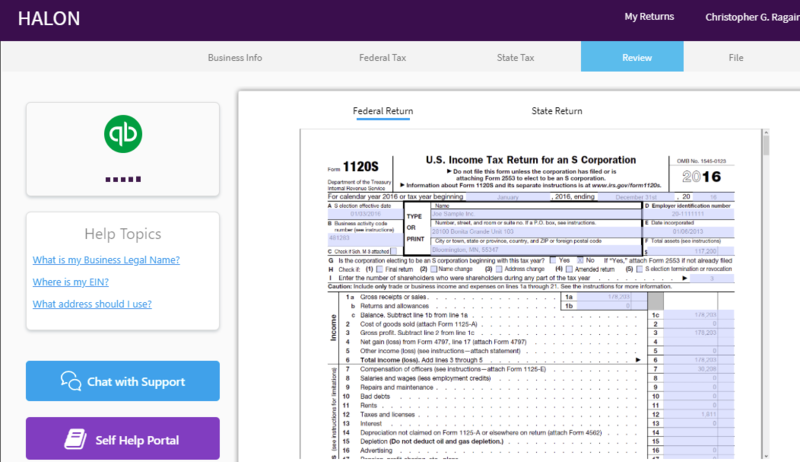 See real-time status and completion notifications, purchase returns, and manage all of your tax activity from a single screen. 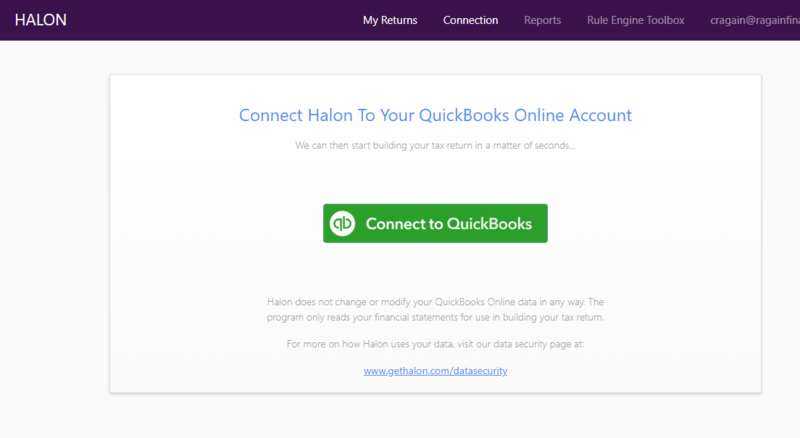 Simply connect Halon to your QuickBooks Online account and in moments the Halon Tax Engine will read your financial statements and begin organizing your tax return. Just a few short screens provides Halon all of the information it needs to create the perfect corporate or partnership tax return. 10 minutes and you are done. 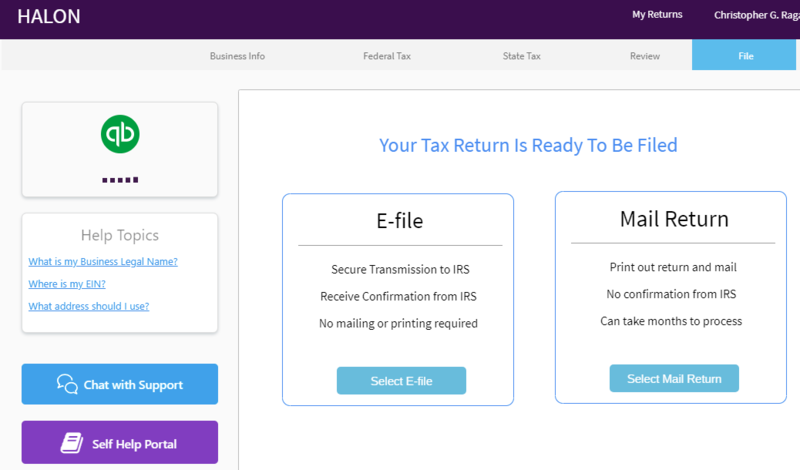 Halon will show you a draft of your tax return in a matter of moments. This is the signal to our CPA Team that Halon is ready for the work to be reviewed and analyzed before final returns are provided. Once the CPA Tax Team has reviewed the work, you will be invited to see your returns. You can walk through them with your assigned CPA or review and sign. Once you have reviewed the tax return, filing is simple. Just upload the signature form to our software and click submit. 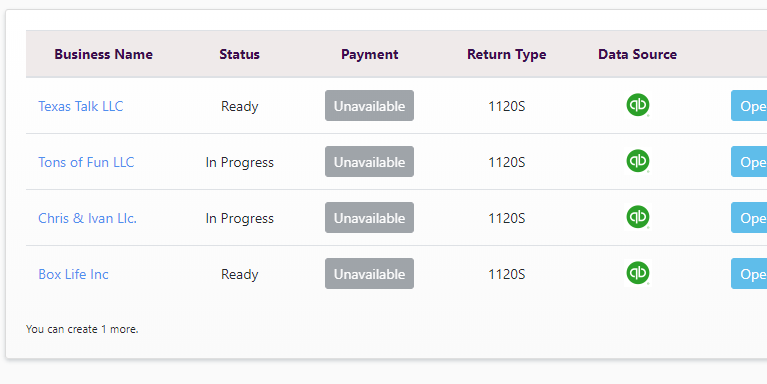 Halon will then efile your returns and provide you a confirmation of filing. Would you rather mail the return? No problem. We can handle that too.